If you are struggling to get out of debt, it’s time to break the cycle with Debt Advisory Services (Scotland) Ltd! Debt Advisory Services (Scotland) Ltd, a private limited company, was launched in February 2006 to provide a wide range of Scottish debt help solutions. We are regulated and authorised by the Financial Conduct Authority to provide debt advice on a range of Scottish debt solutions to people living in Scotland. Living in Scotland, there are a range of Scottish debt help solutions that can assist you in dealing with your creditors. To ensure that we provide you with the best Scottish debt advice available, we will fully discuss your situation and objectives prior to making any recommendations. It’s easy to be tempted to run up our credit cards, take out a short-term payday loan, look into an unnecessary debt consolidation loan or maybe go into an overdraft just to tide you over when finances are tight (or when we receive unexpected bills that blow even the best planned budget). Although you can temporarily ease the strain by taking out further credit, the financial hangover eventually means that there’s just as much to pay off (if not more) the following month, thanks to interest rates and charges on outstanding debt. We can easily find ourselves trapped in a vicious cycle, making it feel impossible to ever get out of debt. The hardest thing to do is to recognise that there is a problem, and then take the steps to find the right debt counselling people to help you become free of debt. If you are really worried about your current level of debt and you are looking for a way to become debt free, we provide Scottish debt help services by offering many debt relief solutions that can help, and you can find a comprehensive summary of these listed below. Careful consideration should always be taken before you decide on the solution to take when dealing with your debts. Debt Advisory Services (Scotland) Ltd only recommends an appropriate Scottish debt help solution after a full review of your personal circumstances has been conducted. Our initial review service, which helps to identify a potential solution for you, is completely free and there is no commitment for you to action any recommendations that we make. Debt Advisory Services Scotland do not charge any up-front fees for the debt solutions that we provide. However, should you choose to accept a Scottish debt help package from us, fees will apply for additional ongoing services that we provide. For further information regarding our fees, please see below. Alternatively, free sources of information can be obtained from Money Advice Service or from your local Citizens Advice Bureau. We are committed to providing you with the highest level of service. 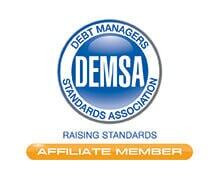 We endeavour to act with integrity at all times and as members of both DEMSA and The Debt Resolution Forum (Industry regulator), you can be confident that you are dealing with a reputable organisation, which upholds a strict Code of Conduct. Despite the fact that a significant amount of time and effort has to be spent in setting up your plan, Debt Advisory Services (Scotland), unlike many other Debt Management Plan providers do not charge any up-front fees or take higher monthly management fees in the early stages of your plan to cover the initial set up costs. To ensure that your creditors receive higher payments from the first month of your plan, our set up costs are included in your monthly management fee and are spread throughout the duration of your plan. To ensure that all of our customers are treated fairly and to reflect the amount of work involved in setting up and running your plan, rather than charging a percentage of your monthly payment, our monthly management fee for our Protocol Debt Management Plan, is determined by the number of creditors included in your plan. Our monthly management fee for running your Debt Management Plan, which is included in your agreed monthly payment, will commence from the first month of your plan and is subject to a minimum fee of £32.50 and a maximum fee of £90. No charges will be made other than the agreed monthly payments and you will not be asked to pay any amount over and above the agreed monthly payment. Debt Advisory Services (Scotland) Limited do not charge you any fees for the provision of our review, referral or Trust Deed services. We do however receive a fee from insolvency Practitioner for the time it takes to prepare and submit your case to them. The fee that we receive from the insolvency Practitioner varies from case to case, with the average fee received being £1250 plus VAT. Your trustee’s (Insolvency Practitioner) fees and the costs of administering your Trust Deed, will be agreed between the trustee and your creditors. They are deducted from your agreed contribution before any payment is made to your creditors. The example shown below is based on an actual client with £15,000 of unsecured debts. She has agreed to contribute £150 per month towards a Protected Trust Deed which will last for 4 years. She has no assets or equity. As the payment distribution fees are paid by your creditors, 100% of your payments are paid to your creditors. You may however, still have to pay a management fee in addition to your payments to your creditors if you decide to use the services of a continuing Money Advisor. Clients, who have chosen a DAS scheme as their preferred debt solution are referred to one of our carefully chosen licensed Insolvency Practitioners who will then appoint a qualified money advisor who will act on your behalf. Debt Advisory Services (Scotland) Limited do not charge you any upfront fees or administration fees for the provision of our review or referral services. 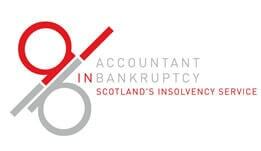 We do however receive a fee from insolvency Practitioner for the time it takes to prepare and submit your case to them. The fee that we receive from the insolvency Practitioner is equivalent to the total of 2 months of your contribution, subject to a maximum of £600. Once your case is passed to the Insolvency Practitioner, you will be informed in writing by them of the proposed fees prior to committing to a DAS scheme. The fee that we charge for a successful claim is 20% + VAT of the amount of discount offered by the creditor. The example shown below is based on an individual with a balance on a credit card of £8000. Debt Advisory Services offered a full and final settlement offer of £4,000 which was accepted by the creditor saving the client £4,000. Debt Advisory fee = £4000 x 20% plus vat = £800 plus 20% (vat) = £960. The total paid by the client = £4000 settlement plus £960 = £4960. We operate on a No Win – No Fee basis – If our offer is unsuccessful we won’t charge you a penny. The fee that we charge for a successful claim is 21% + VAT of the total award paid by the lender. We operate on a No Win – No Fee basis – If your claim is unsuccessful we won’t charge you a penny. No Upfront Cost – We don’t charge an upfront cost either. The fee that for a successful claim is 25% + VAT of the total refund made by your bank. We operate on a No Win – No Fee basis – If your claim is unsuccessful we won’t charge you a penny. The services that we provide go beyond those offered by other Debt Management Companies who, may do no more than just put a plan in place to help you deal with your current debts. We see that putting a plan in place to deal with your creditors as being the first step towards your financial rehabilitation and whilst it is imperative that a plan is put in place early to deal with your creditors, moving forward, our Fresh Start programme, which is free of charge, will provide you with simple, straight forward help and advice to help boost your disposable income and deal with your creditors. With rising bills, simply comparing the costs of your everyday expenses such as utility bills, broadband, life insurance and home insurance plans can help save you a lot of money each month. Regularly reviewing service providers should be at the heart of your personal financial maintenance and we can help by pointing you in the right direction where you may able to take advantage of some of the best deals available by showing you how to review your gas, electricity, phone, broadband and insurance bills. Our Fresh Start programme is designed to help you make the most of your money and provide you with the opportunity of freeing up additional disposable income that can be used to help you repay your debts as early as possible. In addition to helping you to identify areas where you may save money, we will also show you how you can assess your benefit entitlements so that you are able to maximize your monthly income. Benefits are not just for the unemployed and as rules constantly change, it’s worth carrying out an annual check to see if your entitlements have changed. A Debt Management Plan is an informal agreement designed to allow people who are struggling to meet their monthly debt repayments, the opportunity to make a single, more affordable monthly payment via a debt management company. A Debt Management Plan may be appropriate if you have a temporary financial problem or if you can’t or don’t want to re-mortgage. If you live in Scotland and cannot afford to keep up payments on loans and credit cards, a Trust Deed may be the best debt solution for you. A Trust Deed is a legally binding agreement between you and your creditors where you agree to pay an affordable monthly payment over an agreed period of time (normally 4 years). A Trust Deed can only be arranged through a qualified and licensed Insolvency Practitioner. The Debt Arrangement Scheme is a formal debt management scheme. It was introduced by the Scottish Government in November 2004 to help people living in Scotland to repay their debts. Any individual who lives in Scotland who is having difficulty in maintaining their payments to creditors can apply for a debt payment plan under DAS. Consolidating your existing debts into one smaller monthly repayment can sometimes put an end to the stress inducing demands made by your current creditors. There are a number of ways that you may be able to obtain a consolidation loan. They include, re-mortgaging, secured and unsecured loans. Sequestration is the Scottish legal term for bankruptcy. Bankruptcy is often considered the last resort for people with serious debt problems especially if you have a property to protect. There are other solutions which can protect your property and allow you to repay your debt in affordable monthly instalments. Although Payment Protection Insurance (PPI) was sold with credit agreements to protect both you and the lender, many people who have been paying for PPI who don’t have the protection they thought they had. Despite the millions of pounds already paid out in compensation, many people have yet to make a claim. for mis sold PPI. Looking to save money on your household bills or insurance to cover your family or home? Switching suppliers for your utilities is quick and easy and comparing life insurance quotes from a panel of top life insurance companies can save you a lot of money each month. Taking part in our FRESH START programme really won’t cost you a penny and could save you hundreds of pounds each year and you will be able to keep more of your money in your pocket each month. Ring us on 0141 956 4088 or on 0800 011 2322 (Free from Landlines) to discuss your situation with one of our fully trained advisors. If you are looking for a Scottish debt help solution from a debt management company that you can trust, look no further than Debt Advisory Services Scotland. We can help point you in the right direction, providing you with friendly, professional and confidential debt advice when you need it most.